Whether you’re in your first week of university or your fiftieth, there’s always plenty to learn about student life. When it comes to your health, these aren’t lessons you want to learn the hard way! To help you stay at the top of your game, our health experts have provided 22 quick health tips just for you. Enjoy! If you’re not feeling well, the last thing you want to do is get out of your warm, comfy bed. You don’t want to get dressed, go outside, or share a waiting room with other ill people. With Push Doctor, you don’t have to do any of those things! 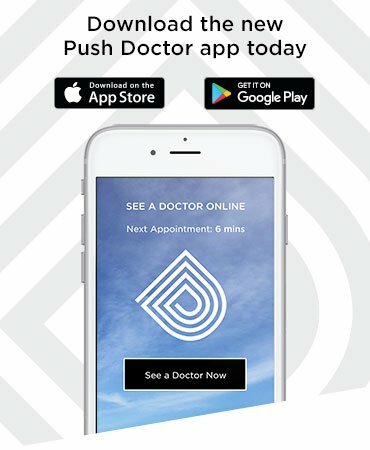 You can download our app and have your appointment on your phone, tablet or computer without having to drag yourself to a GP surgery. Developing healthy habits isn’t always easy, so when help is right in front of you, you should definitely take it. As a student, you can’t walk down the street without having 20 flyers waved in front of you. Your email inbox will be flooded with emails from various brands offering you free or discounted stuff. There are plenty of opportunities to look after your health here. You might have to wade through some pretty useless stuff to get there, but try to home in on things like gym memberships and healthy restaurant vouchers. Central heating is one of those things you take for granted right up until the day it doesn’t work. You’ll be able to tell pretty early on whether your student accommodation is the sort of place that’ll work properly when you need it most. The best thing to do is be ready for anything. It’s cold in winter. Make sure you’ve got some quality knitwear to keep you toasty. Students are often made fun of for sleeping a lot, but don’t let that stop you from getting enough shut-eye. Without enough sleep, you’ll find it hard to concentrate in lectures and long term, your mental health may suffer. You need between 7-9 hours of sleep per night to function at your best, so make sure you get it. So, we’ve established that sleep is good, but as we all know, you can have too much of a good thing. One way to make sure you get out of bed when you need to is to keep your alarm clock or phone away from your bed, out of arm’s reach. That way, when it goes off, you’ll have no choice but to get up. What better way to look after your long-term health than by looking after the planet? Separating the tins from the cardboard may feel like a bit of a chore now, but you’ll thank yourself later. Even if you have to wait a few decades! One of the biggest worries for first-year students is making new friends. Suddenly finding yourself living and socialising with a whole new group of people is very nerve-wracking. Here’s our solution. Make tea for people. Everyone loves a cup of tea, so if you’re the person to provide it, people will remember you. Get chatting to people over a cuppa and soon any anxiety about meeting new people will melt away. What if we told you that the all-night revision session isn’t a compulsory part of student life? Hard work is obviously hugely important, but rest and sleep are important ingredients for success too. Don’t force yourself to work for 12 hours straight. If you need a break, take one! If you’re feeling down, listening to music can make you happier. Whether it’s the stress of work, missing home or you’ve just had a bad day, putting your favourite tunes on is sometimes the best medicine. Some people thrive on the pressure of a deadline. For others, it’s the most stressful thing imaginable. The best way to avoid this stress is to do the work as soon as possible after the task is set. Doing it later will mean you’ve forgotten most of the initial info, which is where most of the stress comes from! Getting it done while it’s fresh in mind means you can move on to the next task. Plus, if your work is done, you won’t feel guilty about relaxing with your flatmates. Many students love their newfound freedom. Not everyone finds it so easy. Studies have shown that November is the most likely month for students to drop out of university, mostly due to homesickness. While you don’t want to be on the phone every night, a regular chat with your family can add a much-needed dose of familiarity to your day. Did you know that just 14% of first years know how to do their own laundry? There’s an obvious health implication to walking around in dirty clothes - and that’s before we even consider the social impact! That window of dead time between getting your results and rocking up at your student halls is the perfect opportunity to learn this sort of stuff from your parents. We know it’s functional rather than fun, but it’s better to pick up this knowledge while you can. Knowledge is power, so let’s not stop at cleaning. Cooking is a great skill to have. It’s healthier and cheaper than takeaways, plus other people will be impressed and you’ll make yourself popular as a result. Don’t have time for cooking? Think again! Try these 6-minute recipes we’ve created and get a great meal without spending hours in the kitchen. Do you want to terrify yourself? It’s pretty easy. Just pop your symptoms into Google. There will always be someone happy to give you a worst-case scenario and turn the sniffles into certain death. For a proper diagnosis, you need a doctor. We know that the reason people turn to Google for this is because they want answers now. With Push Doctor, you can get an online appointment in minutes. How’s that for a solution? You probably thought that leaving home meant you’d never hear this phrase again. Sorry to disappoint you, but there are plenty of scientific reasons why this is good for your health, from improving your concentration to getting a better night’s sleep. It’ll make the pile of washing look smaller. Pizza is the ultimate comfort food. Of course, it’s not particularly healthy, but what if you could have the best of both worlds? Our food engineers have created a delicious pizza that delivers all the taste with just a fraction of the calories - not to mention it’s much cheaper! Everyone knows what the five-second rule is. Some people call it a three-second rule. Basically, if you drop a bit of food on the floor, how long is it still alright to eat? This is a serious question for students, as wasting food just won’t do. A 2017 study from Aston University has looked at all the factors you need to consider before deciding if it’s acceptable to return that fallen slice of toast to your plate. For some reason, this is still seen as potentially odd behaviour by some people. We don’t know why, because it works! Dehydration is a big cause of your hangover and the best way to stay hydrated is water. This can seem counter-productive. After all, alcohol makes you need the toilet and you’d think water would have the same effect. Actually, it won’t make you need to visit the bathroom any more than your alcohol intake is already doing. All it means is you’re less likely to wake up with a dry mouth and thumping head. Here’s a bit of science for you. Darker coloured drinks, such as whisky and red wine, contain toxins called congeners. They’re left over from the brewing process and are one of the biggest factors behind your hangover the next morning. Lighter-coloured drinks, such as vodka and gin, don’t have this same effect. Don’t get too excited, you can definitely still get a hangover from them. You just might not have quite as apocalyptic a headache! We all know exercise is important. Some students show they mean business by getting themselves a pricey gym membership during Freshers’ Week. If you use it regularly, that’s fine. However, many students go for the first couple of weeks and then forget all about it. Not only are they failing to get enough exercise, they’re throwing money down the drain. Our fitness experts have a solution for you. Exercising outside is free and much less time consuming than travelling to a gym. We’ll end with another common problem. It isn’t always easy to get a GP appointment when you need one. Don’t give up though! 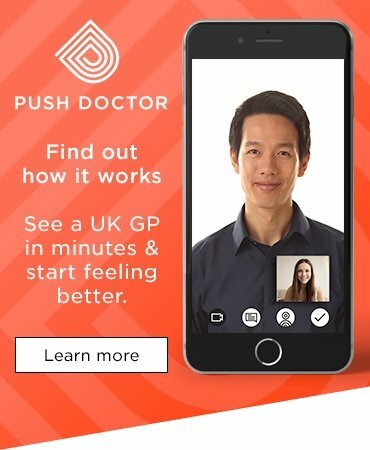 Remember that with Push Doctor, you can see a GP in minutes. You can get the treatment you need, when you need it. That’s the future of healthcare right there!